Fabrications | Mecanizados Martinez Vanaclocha S.L. 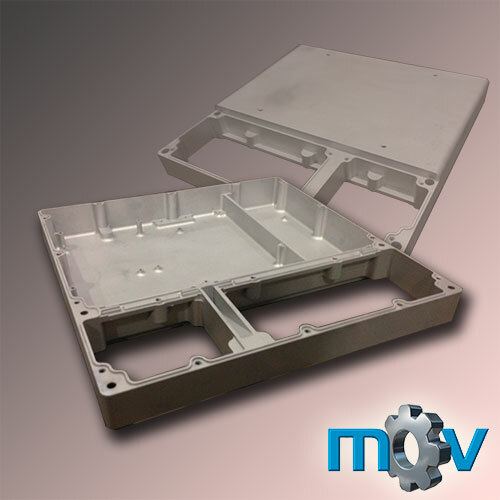 Lodging box for the assembly of electronic systems and connections. 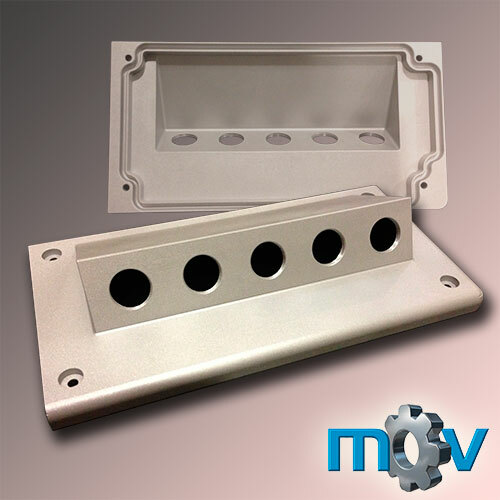 Manufactured in aluminum with subsequent shot peening treatment. 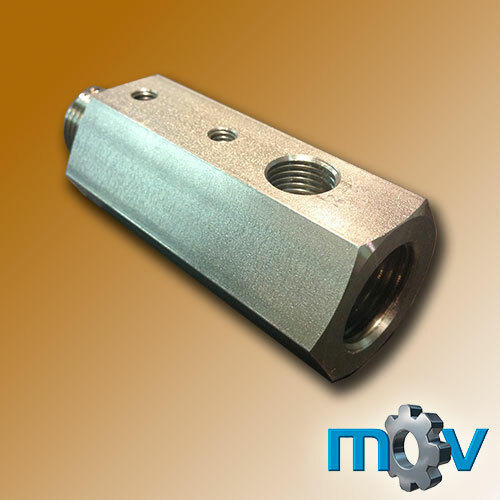 Block manufactured in 6082 aluminum for the distribution and control of pressure in a pneumatic installation in an assembly line. A box made up of a main body and covers, where the electrical components of an elevator machine control box are lodged. 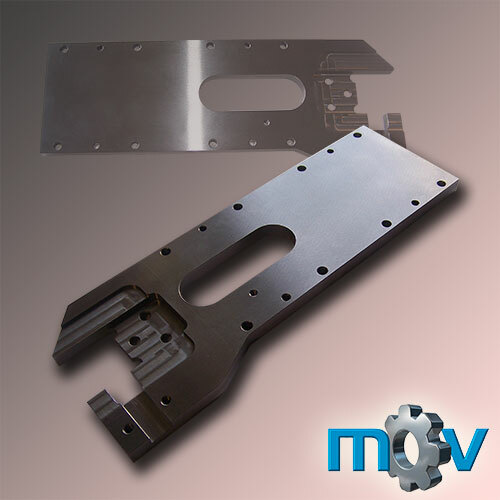 Union piece for the sub-chassis of a prototype machine for packaging of industrial liquids. 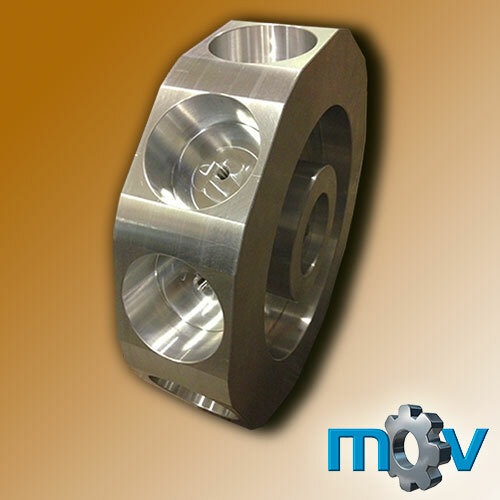 Machined in steel and hard-tempered. Sealed cover for an electronic installation lodging box, with an outlet for 5 connections. 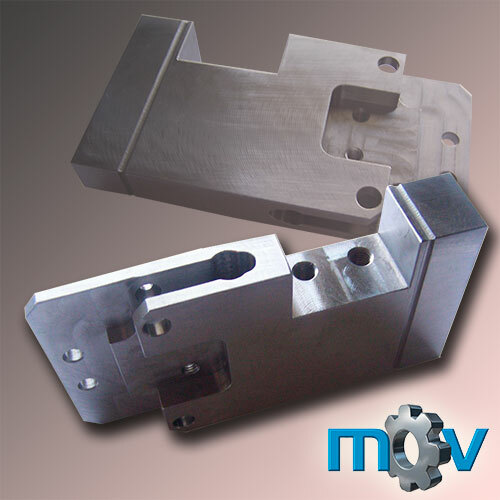 Machined from a solid block of aluminum. Several sleeves made with different eccentricities to be used in experimental tests of vibration reduction. Connecting piece for a hydraulic system with coupling to an air hose. 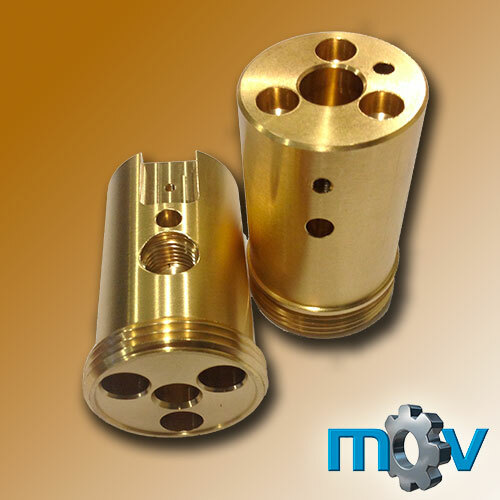 Produced in brass and in several versions. Auxiliary small-size speaker support bodies, utilized in the electronic industry. 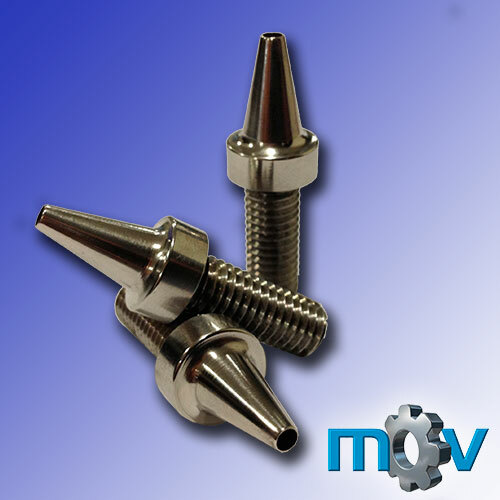 Made in stainless steel and polished afterwards. 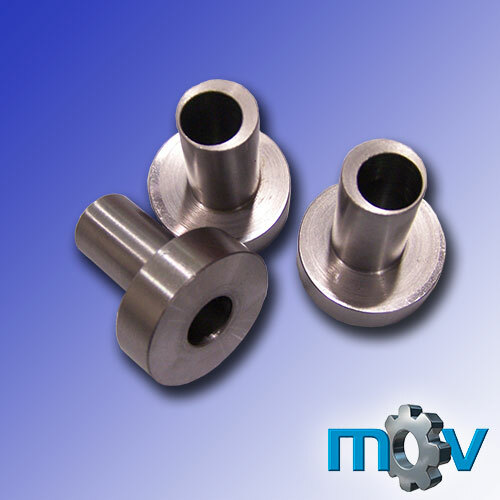 Components for air blowers that produce a strangulation of the flow for an increase of speed and reduction of noise. 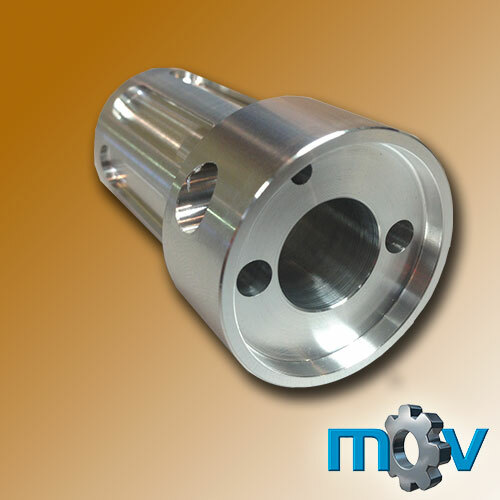 Polish treatment after machining. 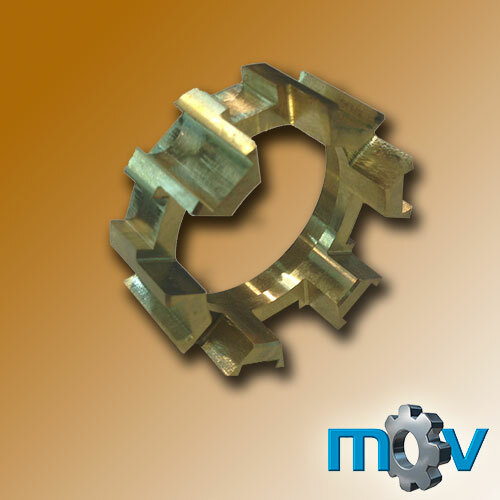 Spacer ring of complex geometry, with several axial and radial slots to allow its sliding along steel guides. 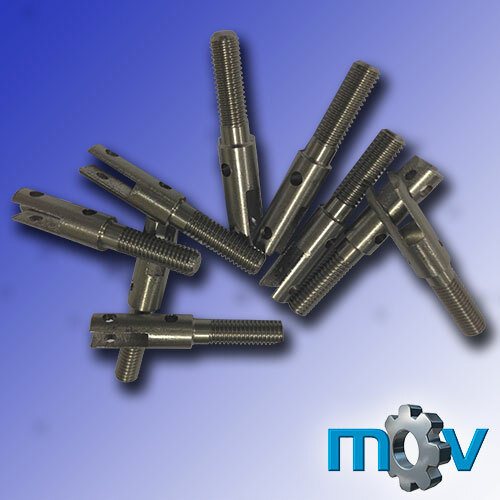 Produced in bronze to avoid seize up. Prototype of a gear for designing validation tests of an orthopedic kneecap. 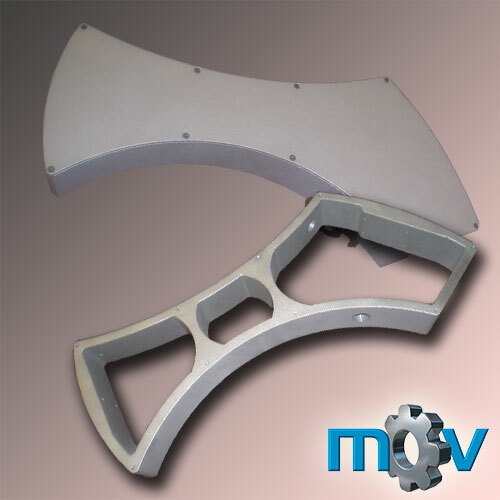 Prototype realized in aluminum and potential posterior fabrication in special alloys. 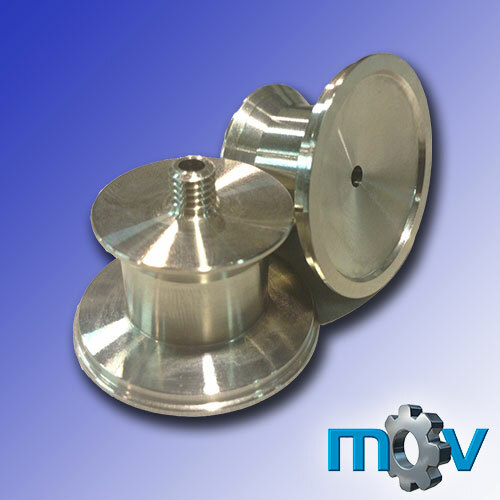 Aluminum prototype for validation tests of a tool holder turret for a slight-turning machinery manufacturer. 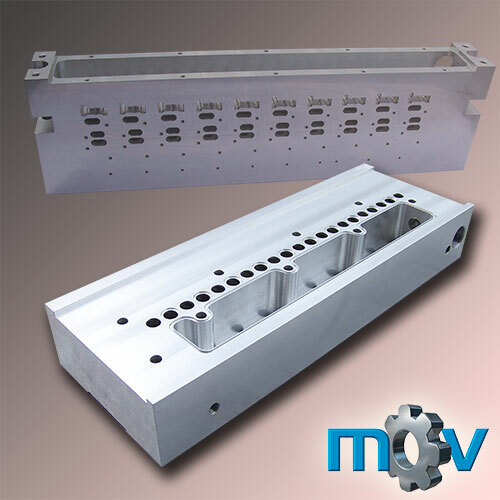 6082 aluminum piece with longitudinal slots and several maximum precision drills for positioning the piece in automobile cooling systems. 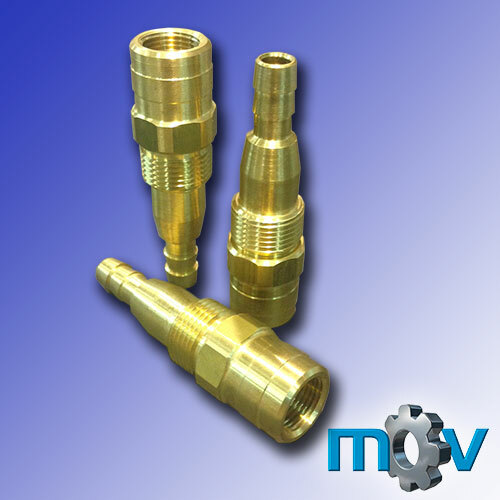 Bronze connector with communicated drills for pneumatic-hydraulic combined systems and with a track for sensor adjusting. 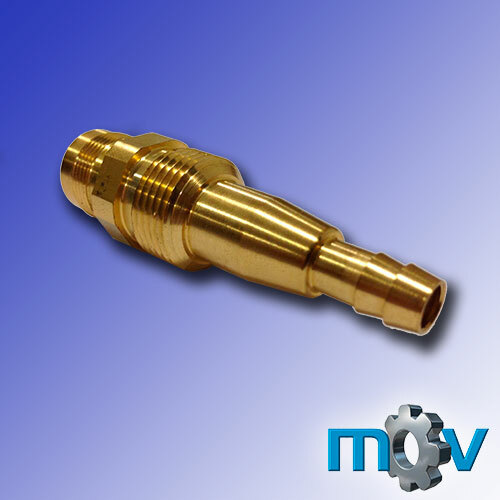 Connector piece for anti-fire systems, with axial threads (male and female) according to customer’s specifications, and standard radial threads of the metric and Withworth systems. Tensors for the regulation of anti-fire systems. Cover for the head of a riveter machine for the wood manufacturing sector. 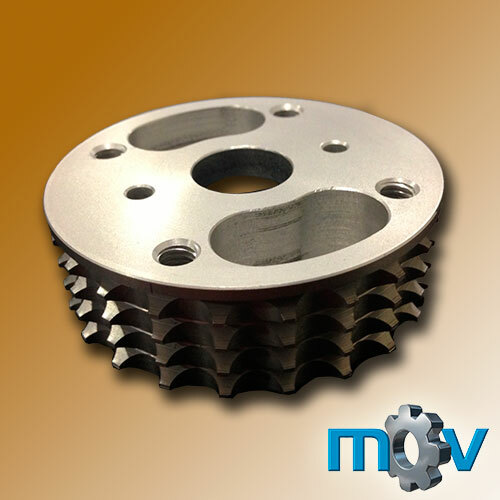 Produced in 1.1191 steel, grinded and nitrided.